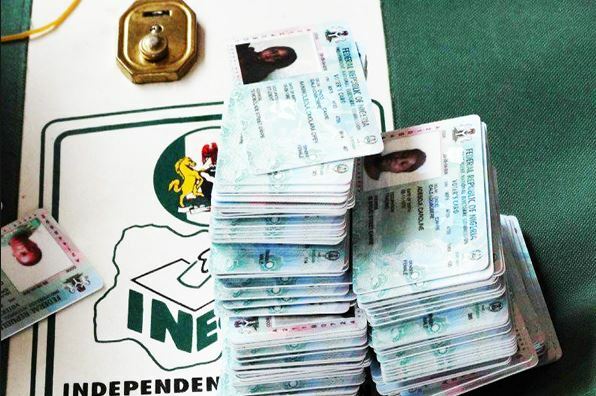 The Independent National Electoral Commission (INEC) on Friday said it had provided magnifying glasses and braille ballot papers to assist Persons Living with Disabilities (PLWD) to vote in Saturday’s Presidential and National Assembly elections in Borno. The Resident Electoral Commissioner in the state, Alhaji Mohammed Ibrahim, made the disclosure at a press conference in Maiduguri. Ibrahim disclosed that the magnifying glasses would be provided to assist albinos in ensuring proper balloting while braille ballot papers were designed for the blind and visually impaired persons. He said the commission had adopted practical measures to assist Persons with Disabilities (PWDs) to exercise their franchise. The REC also said that election officers were directed to give special attention to PWDs during the voting exercise. He said the commission had also registered 409, 833 Internally Displaced Persons (IDPs) in Borno for the Feb. 16 and March 2 General Elections. According to him, the commission has developed frame work and guidelines for IDPs voting to enable them to exercise their franchise. Ibrahim explained that the affected IDPs from eight local government areas of the state would vote in various camps located in Maiduguri and other communities in the state. The commissioner listed the affected councils as: Abadam; Guzamala, Marte, Dikwa, Ngala, Kukawa, Mobbar and Kala Balge. He said effective arrangements were being put in place for the IDPs to enable them to vote in their respective places of domicile so that they would not be disenfranchised. He said that Smart Card Readers in IDPs camps would be configured to the Registration Area (RA) level. Ibrahim disclosed further that INEC had registered more than 2.3 million voters for the 2019 election in the state, adding that 160, 863 Permanent Voter Cards (PVCs) were uncollected at the end of the collection exercise. According to him, about 11, 000 security personnel were deployed through the Inter-Agency Committee on Election Security to facilitate conduct of peaceful and hitch free exercise. He said that the personnel were deployed to secure 3, 933 polling units, election workers, election materials and INEC offices. The commissioner disclosed that the commission had conducted comprehensive awareness creation campaign to educate the electorate on election procedures and processes. He said the commission had achieved about 98 per cent in the distribution of non sensitive election materials, while distribution of sensitive election materials would be completed on Friday. He called on political parties, candidates and electorates as well as stakeholders to ensure orderliness and peaceful conduct of the election.